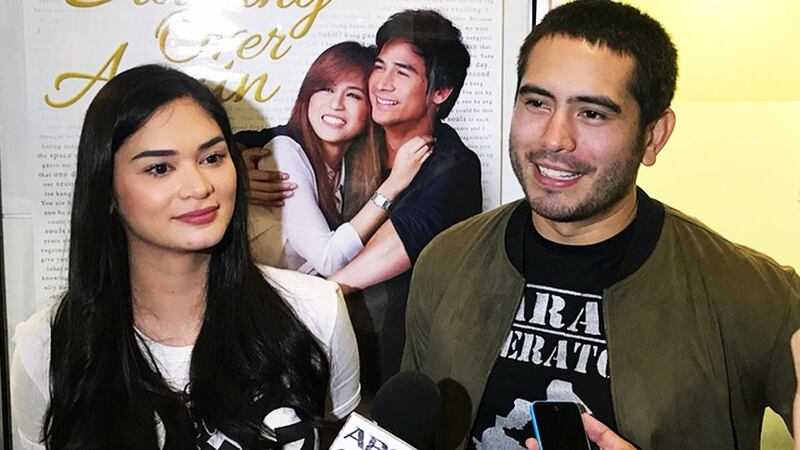 Are You Ready For A Pia Wurtzbach-Gerald Anderson Tandem? Miss Universe 2015 winner Pia Wurtzbach is set to take on another movie role, this time opposite Gerald Anderson. The romantic comedy's working title is My Perfect You, to be led by box-office director Cathy Garcia-Molina. This marks Pia’s follow-up to her role as Kweenie in the Metro Manila Film Festival entry, Gandarrappido: The Revenger Squad, where she played an estranged sister-turned-superhero with box office regulars Vice Ganda and Daniel Padilla. As of Thursday, January 18, the film was reported to have raked in P570 million after three weeks in theaters. The Pia-Gerald project was announced shortly after a brief story conference on January 18 with the two leads and Direk Cathy. Gerald told reporters, "Kakaiba siya. Look test pa lang namin, challenging na." Pia, on the other hand, shared, "Sana marami akong matutunan. Sabi nga ni direk kanina, 'Aaalisin ko 'yung pagiging Miss Universe mo.' Game naman ako!" When asked about being paired with Gerald in a big movie, the 28-year-old responded, "Napapanood ko na si Gerald noon pa lang, at alam kong magaling talaga siya. Na-tsa-challenge ako na kailangan galingan ko, kasi ang galing niya. Hopefully kakayanin naman. Kaya, actually!" Direk Cathy, who was behind some of the most raved-about local romantic films in recent years like A Second Chance, A Very Special Love, and She’s Dating the Gangster, shared: "Every day, as we work together, doon ko lang makikilala kung sino sila. Every character is a work in progress. When we go along, that’s when we see the magic. It just comes out, naturally, in time."